Dear Readers, Current Affairs questions will play a very important for all competitive exams. 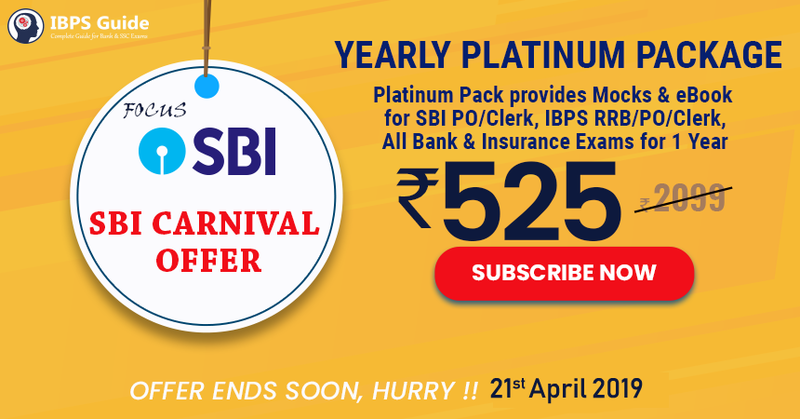 This Current Affairs questions are necessary to cover current affairs topic to score more in the General/Financial awareness section in bank exams. It is not possible to read the Newspaper daily and also more difficult to gather each and every important news on daily basis. Anyone can prepare current affairs by simply reading month-wise current affairs Questions but it is not enough for nowadays pattern. The one who has sufficient knowledge in static and banking current affairs only will sure score more in General awareness section. So you have to cover not only the headlines of Current affairs news but also the other related information about that news. We know the importance of related information for all news. So here we provide the most important current affairs Questions with all related information. 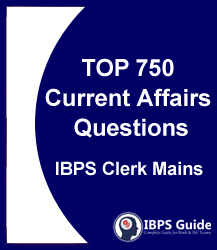 We are happy to provide the “TOP Most Important 750 Current Affairs Questions for IBPS Clerk Mains 2018-19”, especially for the upcoming exams. This PDF helps you to Learn and revise current affairs in a simple and clear format. By this way, you will be more optimistic and achieve well in this section. Candidates those who are preparing for Upcoming IBPS Clerk Mains exams can use these materials. In the upcoming days, we will update remain months important current affairs. “Don’t wait for your ship to come in, swim out to meet it”- Don’t wait around for result, identify your goals and take action to achieve them. It’s easy to provide current affairs with all news, but the real challenge is to provide the best and useful news with all related information, our team always gives the best in all, so kindly make use of it. We planned to Cover All Major Important Questions from July 2018 to Dec 2018.